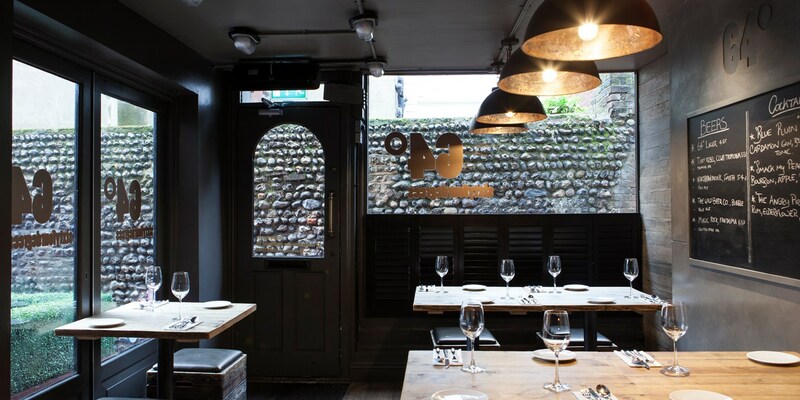 This small, twenty-seater restaurant in the heart of Brighton is responsible for helping to kick-start the city's culinary renaissance, serving up dishes of fun, tasty and vibrant food seven days a week. Brighton is a city full of fantastic restaurants, but the crown in its culinary jewel has to be Michael Bremner’s 64 Degrees – a place that does away with any sort of stuffy formality, smashes the barriers between the chefs and the diners and (most importantly) sends out plate after plate of exciting, inventive food that’s bursting with smile-inducing vibrancy. Named after a sous vide machine Michael used to own which was stuck at 64°C (luckily a perfect temperature for cooking eggs), the restaurant – and plates – may be small, but the food is big on flavour. Dishes are ordered from lightest to heaviest on the menu (desserts are kept separate), with no distinction between starters or mains. Diners can then pick and choose what they like the look of, share between themselves or order the whole menu for the full experience. The atmosphere inside is buzzing, lively and intimate without being cramped – the number of covers has decreased slightly since the restaurant opened five years ago to give diners more space. Table settings are simple, relaxed and laidback, with plenty of natural light flooding in through the large windows. The wine list is short but succinct, with guiding categories such as ‘mineral’, ‘silk’ and ‘bold’. There is a constantly changing beer list on the blackboard, too. One of the biggest draws of 64 Degrees is the open kitchen with stools along the pass. 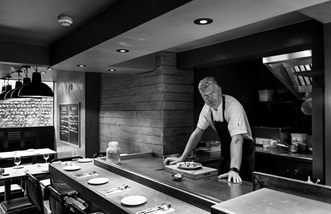 Booking a seat here means you can watch the chefs prepare and plate dishes right in front of you, ask them questions as they’re doing it and get to know more about the ingredients you’re eating. The dishes are prepared using all manner of techniques, and flavours come from anywhere – for example, a dish of roasted carrots with miso butter and peanuts can sit next to ceviche-style sea bream or roast lamb with fermented mint. 64 Degrees recently changed its menu to become more vegetable-focused to reflect changing tastes, although there is still plenty of meat and fish on offer. 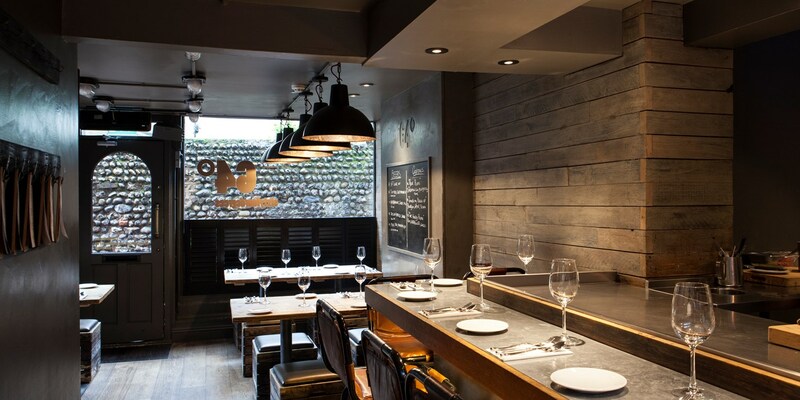 64 Degrees' sister restaurant, Murmur, is just a short walk away on Brighton's seafront. As it is such a small restaurant with just twenty covers, it's thoroughly recommended to book a table or ring ahead before visiting. There’s no doubt that Brighton is home to one of the best food scenes in the UK, despite being within day-tripping distance to London. Over the past five years new restaurants, pop-ups, cafés and producers have helped shape the city into a fantastic place to eat out. But when you ask local chefs and owners who’s most responsible for this, most will point to one man in particular – Michael Bremner.